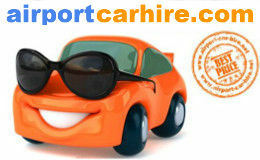 Carcassonne Airport Car Hire compare Alamo Hertz, Avis, Budget, Europcar car rental prices in Carcassonne. 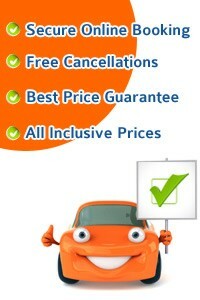 Fully inclusive with no excess option, free cancellations and amendments and no credit car feee. 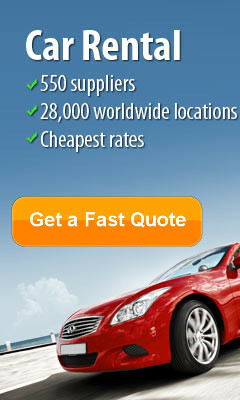 Choose from a large selection of cars from Ford, Renault, Citroen, BMW and Mercedes and Toyota, Volkswagen. Looking to explore more of France and the areas close to Carcassone in your rented car Toulouse is just an hours drive as is Perpignan or Béziers, Montpellier being a 1 hour 30 drive, Lourdes is just over 2 hours from CArcassone as is Andorra, or travelling into Spain from Carcassonne to Girona for a visit is just 2 hour drive, so there is lots to see and do. Taxi service: Are available outside the Airport terminal in Carcassonne. 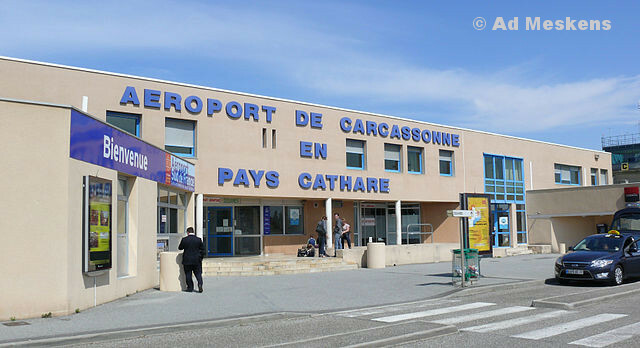 Carcassonne Airport is located just 3kms from Carcassonne town centre in the Languedoc region of France. If you have picked up your hire car at Carcassonne Airport take some time and explore the beautiful old walled French city of Carcassonne, La Cité, with its old cobbled streets and call to the numerous cafes and restaurants en route and just take in the atmosphere. Set high on a hill it is picture perfect old medieval city with its fortress standing tall with its many towers, with views over the River Aude. The lower town is Bastide St Louise is wonderful take a stroll around and explore. The Carcassonne region has lots of wineries so jump in your hired car and discover some great wines, just a few include Château Pennautier, O'Vineyards, Château de Ventenac. For a lovely little drive, begin your tour at the castle in Carcassonne and then drive out to the town to Limoux where you can sample Blanquette - a local drink similar to Champagne. Continue on towards the mountains to marvel at glorious mountains, lush forests and rolling hills. You will certainly come across the tiny but very charming hilltop village of Rennes Le Chateau. The views from the village are unbeatable. Spreading from the plains of Beziers to the foothills of the Pyrenees and the border of Spain, Cathar country boasts a number of spectacular castle ruins that are well worth driving to see. Standing atop impressive mountains, the ruins afford a peaceful, almost spiritual experience, enhanced by the drive along stunning country roads that offers 360 degrees of glorious scenery. Two must-see Cathar ruins are Queribus and Montsegur. Famous as the last stronghold in the Cathar region, Montsegur is believed to be a hiding place for the Holy Grail. Queribus is one of the "Five Sons of Carcassonne; strategically placed castles built for protection against the Spanish (pre 1600s). Take a boat trip from Carcassonne marina port area to view the medieval city from the water. Canal du Midi for the boat lovers. The Residence ADONIS Carcassonne La Barbacane is pleased to welcome you in a green setting near of Carcassonne city classified as World Heritage Site by Unesco. You will discover a beautiful region with an extraordinary cultural richness. ADONIS Carcassonne La Barbacane welcomes you in one of its 70 air conditioned apartments, fully furnished and tastefully equipped to make your stay a real success. We put at your disposal: a pleasant dining room for your family breakfast, for your well-being you will have access to the area of fitness and jacuzzi, and for business meetings ,an Campanile Carcassonne meeting room is available on request. Campanile Carcassonne Est RUE CAMILLE FLAMMARION , Carcassonne, 11000. Located in Carcassonne, this Campanile hotel is 2 kilometres from the town centre and a 10-minute drive from the train station. It offers affordable accommodation with free Wi-Fi. Guest rooms at Campanile Carcassonne Est - La Cité are air-conditioned and have en-suite facilities. The hotel’s restaurant serves traditional cuisine and guests can relax in the bar or on the terrace. Mercure Carcassonne Porte De La Cite, 18 Rue Camille Saint-Saens, 11000 Carcassonne. Set just a short stroll from the medieval district of Carcassonne, this Mercure hotel offers stunning views overlooking the city walls. Mercure Carcassonne Porte De La Cite features air-conditioned rooms with modern en suite facilities and Wi-Fi internet access. All rooms were recently renovated and decorated in pastel tones. They offer cosy accommodation and a view of the garden or Montagne Noire. Appart'city Carcassonne, 190 Route De Villemoustaussou, 11000 Carcassonne. Situated between the beautiful countryside and the historic city centre of Carcassonne, is the AppartCity, an ideal location for long-stay guests or visitors to the area. Composed of T1 to T3 flats, the Appart'city Carcassonne residence is faithful to the charter of quality and standing of the national chain. All apartments are equipped with modern en suite facilities including a complete kitchenette with dishwasher and microwave. The residence offers plenty of a la carte services such as a buffet breakfast, cleaning service, an outside car park and internet access. There is also a swimming pool and access for people with disabilities. In the surrounding area you will find plenty of restaurants that serve delicious regional cuisine, historic monuments and museums and the old, walled city of Carcassonne that dates back nearly 2000 years. - Daniel Corkery / Cork.